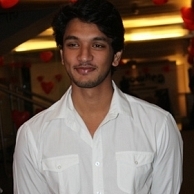 Gautham Karthik’s new film with director Saravanan has been titled Sippai. Lakshmi Menon would be his pair in this film, which would be a campus love story. S S Creations would be producing this film and its shooting will commence from the end of this month. Yuvan Shankar Raja has been signed on to provide music after teaming up with Saravanan in his previous Silambattam as well. Gautham Karthik’s other movie Vai Raja Vai, to be directed by Aishwarya Dhanush will also have Yuvan’s music.